Mrs. Katherine Maxwell Moten was born July 31, 1935 in Alexander City, Alabama to the late Mr. Jather Maxwell, Sr. and the late Mrs. Lucille Mosley Maxwell. 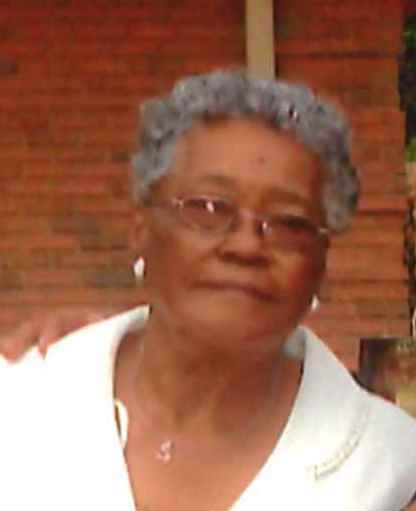 Mrs. Moten was active and dedicated member of Haven Memorial United Methodist Church for many years. She was preceded in death by a daughter, Mrs. Sebrena Moten Fortson. Her siblings: Roberta Belyeu, Jather Maxwell, Jr. and Robert Maxwell. On March 31, 2019 she folded her tent and silently slept away. She is survived by a loving and devoted husband, Mr. Oliver Moten, Jr. of Alexander City, AL. Two sons: Mr. Oliver Moten, III (Jackie) of Montgomery, Alabama and Alphaues Moten of Jacksonville, North Carolina. Two daughters: Gwendolyn M. Pearson and Janet Moten of Alexander City, Alabama. Five grandchildren: Joseph Pearson of Houston, Texas, Patrick Pearson (Tiffany) of Vidalia Georgia; Antony Moten of Montgomery, Alabama; Selena Moten and Desmond Moten of Alexander City, Alabama. Five great grandchildren. One sister, Mrs. Geraldine Freeman of Alexander City, Alabama. One sister-in-law, Mrs. Melvena Maxwell of Des Moines, Iowa. Two brothers-in-law: Mr. Walter Moten, Sr. and Mr. James Belyeu (Betty) of Alexander City, Alabama. A host of nieces, nephews, other relatives and friends.